Marimekko is a Finnish design company recognized for its original pattern designs, which often employ simple shapes and engaging color combinations in both geometric and organic combinations. Clothing, bags, and upholstery products are examples of places where pattern and texture collide, since fabric itself has inherent texture. We will walk through an intensive creative process together as a class, with foundational exercises that will help you find motivations for your work and get situated in Adobe Illustrator, the program we will use for our final designs. We will also explore some hands-on printing to better familiarize ourselves with the behavior of color and the possibilities offered by working with physical materials. Ultimately, you will develop a final pattern design using the pattern-making options in Illustrator. Show that you tried at least two different color schemes for pattern design (save different swatches): Do different color combinations make the pattern appear different? Finally, you should be able to articulate clear motivations for your final design, explaining why specific color and shape relationships are tied to the creative or cultural ideas that motivated your work. Can you show a real world application for the pattern you have designed in your final presentation? Both 2-D and 3-D aspects architecture present the viewer with interesting textures and patterns. 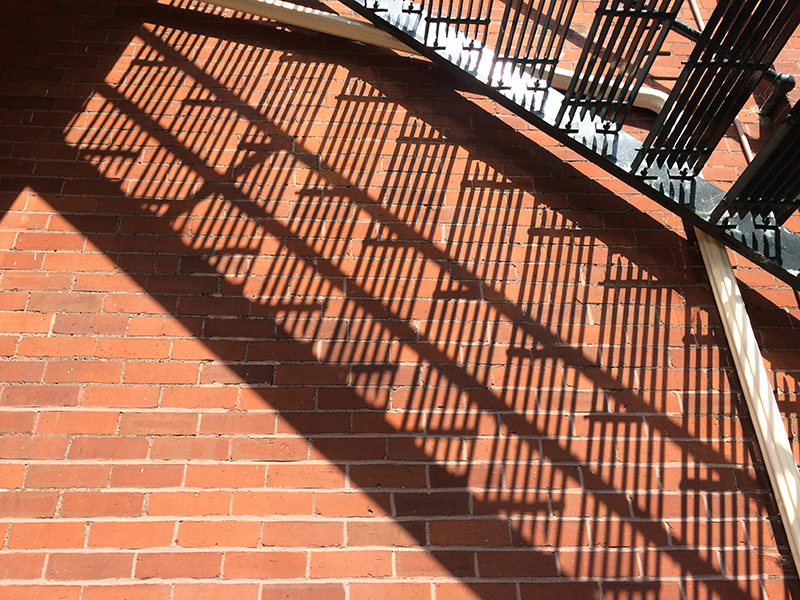 This is the shadow cast by the fire escape on the side of Bryan Hall. Read the Texture and Pattern chapters from your textbook, “Graphic Design: The New Basics”. Write down the defining characteristics of each of these two design principles, and think about how they relate to one another. For example, the Texture chapter talks about “virtual” versus “physical” texture. Do we also have virtual and physical examples of pattern? What are they? Once you have reflected on your reading, start to notice and collect digital photographs of texture from your real-world, material environment. It is fine to use a phone camera. Look for a variety of types of texture, and take at least 10 different images. Put the images on your thumbdrive (labeled with your first and last name and DTC336) and bring them to class on Tuesday, 8/29. We will create your first blog post on this day. 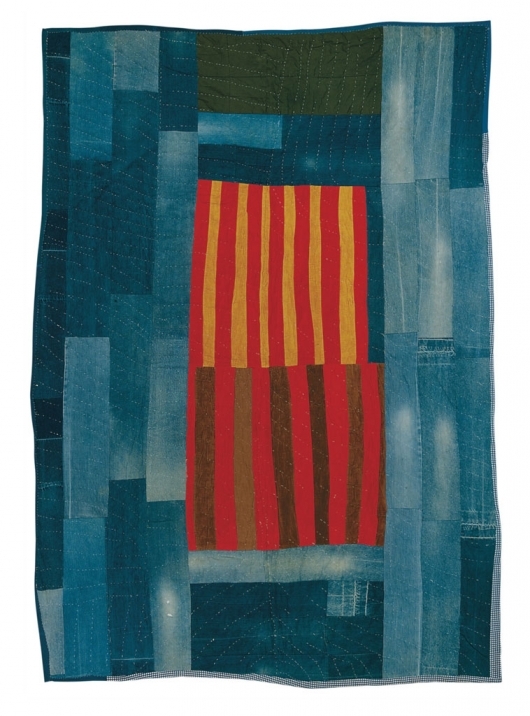 Famous modernist architect Frank Lloyd Wright also designed patterns to be used for fabric and wallpaper. They have been reissued by the company Schumacher. Vintage and contemporary video games offer interesting opportunities to look for visually stimulating patterns and color schemes as well as organic and geometric forms. In this activity we will refresh / introduce our familiarity with the Illustrator workspace and begin exploring digital use of color and shape. The basic explorations we make here will inform and enable both digital and hands-on pattern making activities. Watch How To Get Started With Adobe Illustrator CC – 10 Things Beginners Want To Know How To Do and read pgs 111-132 from Using Color in Illustrator. Make a new Illustrator document that contains three 8.5 x 11-inch artboards. On the first artboard, create some custom shapes (try to use the pen tool and accompanying tools to create them) that you think might be interesting to use in your pattern design. Fill these shapes with black for now, no stroke. Are the shapes organic or geometric? Are they inspired by anything? Explain. On the second artboard, place the textural images you took for the second week of classes using File > Place. Resize them so they fit neatly on the page. Make sure they are embedded, not linked. Are there any color scheme ideas that you can draw from these images? Sample possible colors from these photos and save them as swatches and put them in color groups that have specific descriptive names in the Swatches panel. Why do you think these colors will work well or be meaningful in a pattern design? On the third artboard, present three different color schemes (three to six colors in each) that you think might be interesting to use in pattern designs. Show the color schemes as a series of squares or rectangles that touch edge-to-edge. Give each scheme a name, save the colors as swatches, and put them in color groups with corresponding names in the Swatches panel. You may use color ideas from your photos, but you should also consider using the other tools from your reading, such as the Color Guide panel and Kuler. What tools did you use most to develop your color schemes? What does each separate scheme represent for you? Explain. Copy your first artboard and assign your shapes various colors from the three color schemes you developed. Does assigning color change the way you perceive or think about the shape? Save the Illustrator file as “yourlastname-colorschemes.ai” and turn it in on your thumbdrive next class with your answers to the questions posed above (here is the PDF to the answer sheet). Check in your color reading to see what the Bezold Effect is. Now you should be at least somewhat familiar with the Illustrator workspace, including drawing basic vector-based shapes, assigning fill colors, and saving custom colors. You also should have some ideas about how color works and is used by artists and designers from Design Elements, Color Fundamentals: A Graphic Style Manual for Understanding How Color Affects Design. Before we get our hands dirty with color, we will do some preliminary exploration of Illustrator’s Pattern Options tool so that we’ll be better prepared for the final phase of this project, Digital Pattern Development. Read the final pages from Using Color in Illustrator (135-142), which explains how to use the Pattern Options panel in Illustrator. Create a pattern using the Pattern Options panel. You may use only one shape in your pattern, but you may repeat it, overlap it, and rotate it as much as you want within a single tile. Use one of the color schemes you developed for last time. If you assign a background color (recommended), you may use one additional shape because you will need that to fill the background of the tile (see your reading). 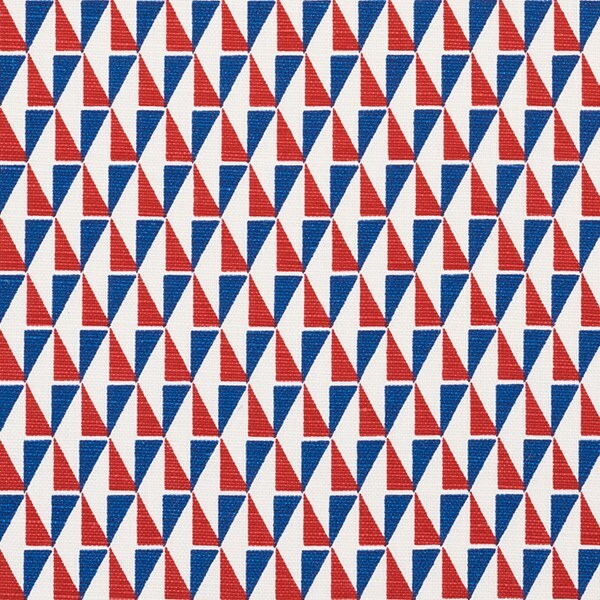 Save this pattern as a swatch and name it. Save the first pattern as a copy with a new name. Keep the organization of the pattern the same, but change just one of the colors from your scheme in all instances of the pattern. Explain how the new version illustrates the Bezold Effect you read about for today (pg. 25). Write your response on the answer sheet you filled in for Part 2: Color Schemes & Shapes. Make two additional artboards in your “yourlastname-colorschemes.ai” file and fill each one with your two new patterns. (Just draw a rectangle to fill the artboard and assign the appropriate swatch.) Save the file. You will turn the file in on your thumbdrive on Thursday, 9/14. Decide on a custom shape for your stencil. (You may cut more than one if there is enough available acetate. Avoid cutting shapes that have extremely skinny parts: these will be harder to get paint through.) Is your shape inspired by anything specific? Is it organic, with irregularities, or is it more geometric, with regularized measurements? Why? Decide on an underlying grid system of lines that will help dictate where you position your shape(s) on the paper. Draw these lines—horizontal, vertical and/or diagonal—very lightly in pencil on your paper. Print your pattern in at least two phases using two different hues, allowing the paint to dry in between phases. You may use additional phases and apply additional colors if you have access to more paint. Your shapes may overlap and rotate, but make sure you have a system you are following that uses your grid as a guide. Fill your whole page with the pattern. Slight transparency of the watercolor or gouache may lead to interesting interactions between colors. Adding more water when you mix paint can help with transparency, but too much water will make your paper overly soggy. Make sure your pattern design has a strong source of inspiration. In this example, a work of fiction has inspired floral patterned imagery for a book jacket design. What ideas, emotions, or associations does this pattern evoke? 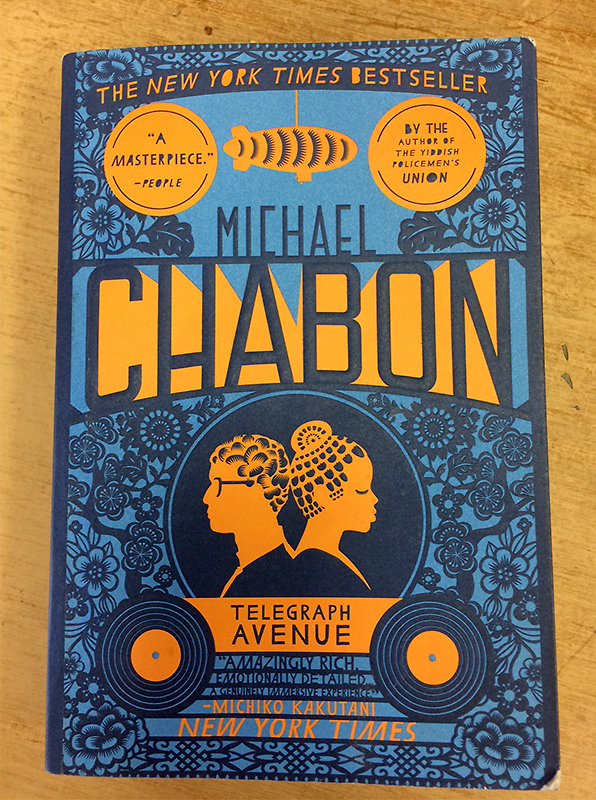 How does it relate to the novel, “Telegraph Avenue” by Michael Chabon? This is the final phase of the pattern design project. Use the technical tools and creative concepts we’ve discussed and practiced to devise, plan, and execute an original digital pattern design with clear purpose and inspiration. Shapes, colors, and their organization will have different meanings for different groups of viewers. Make sure to consider how psychology, symbolism, emotion, culture, and place affect your perceptions as well as the perceptions others may have of your final design(s). You will use the Illustrator workspace to design your pattern(s) and present your creative process, as you did in Parts 2 and 3 above. You must create at least two pattern designs using the Pattern Options panel in Illustrator. Each pattern design should explore and present itself in two different color schemes, which you should save as Color Groups in the Swatches panel. You may also design additional or accompanying patterns if you are feeling ambitious or if your concept requires it. 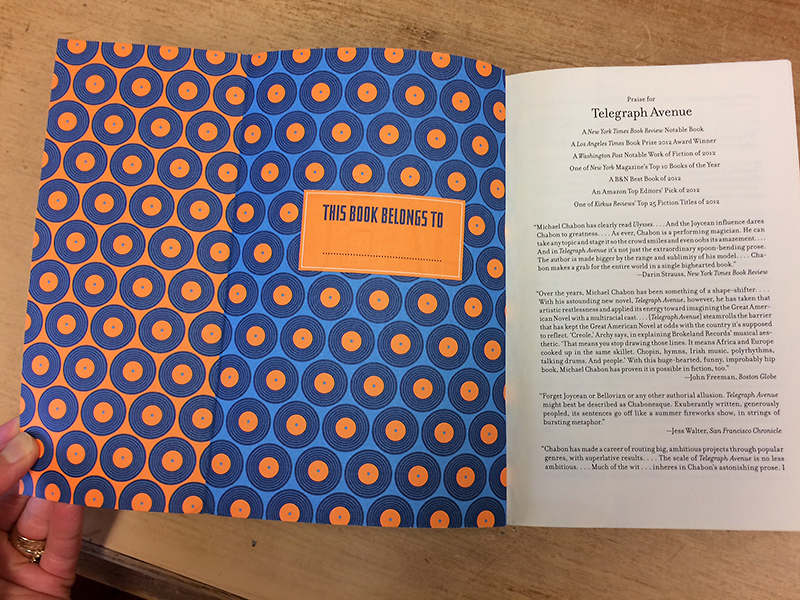 A second pattern, this time with geometric organization, is used inside the jacket cover. What does this pattern evoke? Inspiration & Purpose. Why are you creating this pattern? What is it inspired by? What does it represent to you? What might it represent to others? And how will it be used once it has been created? Make sure you have specific answers to these questions, and be creative about where you draw your inspiration from. Are there real world sources that you are working from? If so, can you document them? Or is your inspiration more intangible, like an idea or a story or a song? How will the intangible become tangible? 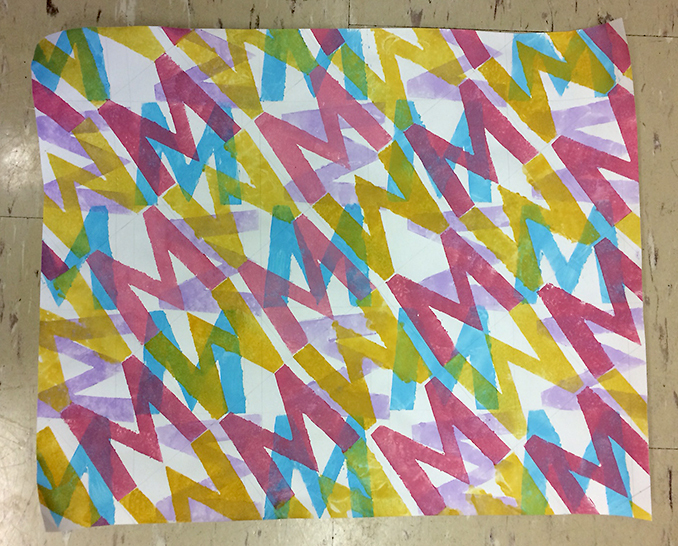 How will you know what shapes and color schemes to use? You will write about your process and your decisions for Blog 3: Pattern Design Reflection. Creative Process. Use Illustrator not just to create your final designs using the Pattern Options panel, but also to document your creative process. You may curate your process on a series of artboards, showing potential color schemes, shapes, and reference photos before you present your final patterns. One artboard should show your tiles on their own, before they are tiled into pattern, so viewers can get a sense of how you created them. Ambition Level. Ambition level will contribute to your final grade on this project. 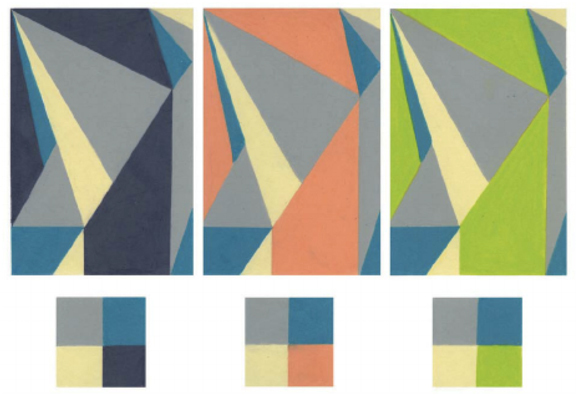 Patterns that use greater complexity in their organization (overlapping and orientation of shapes) and in their color schemes (more colors, 4-6, will lead to more opportunities for visual difference when the color scheme is modified, as with the Bezold Effect). Your demonstration of your inspiration(s) for your pattern(s) and the potential uses will also be considered for ambition level. How can you show potential uses of your pattern in your Illustrator document or in your Pattern Design Reflection blog post? Make sure your AI file is in CMYK and has high resolution raster effects (when you set up the document). Curate your creative process on a series of well-organized artboards. Save the color schemes you use in your patterns as Color Groups in the Swatches panel. Give them descriptive names. Save each pattern design and color variation as a separate swatch with a descriptive name. Apply a background color to your tile so it appears in your swatch. Don’t add a background color separately. Present each pattern design and color variation on that design as a full 8.5 x 11-inch artboard (draw a rectangle to fill the artboard and fill it with the appropriate swatch). Name your file “yourlastname-patterndesign.ai” and save it to your thumbdrive to hand in on Tuesday, 10/3. Also, make color prints of all your artboards to hand in on Tuesday, 10/3. 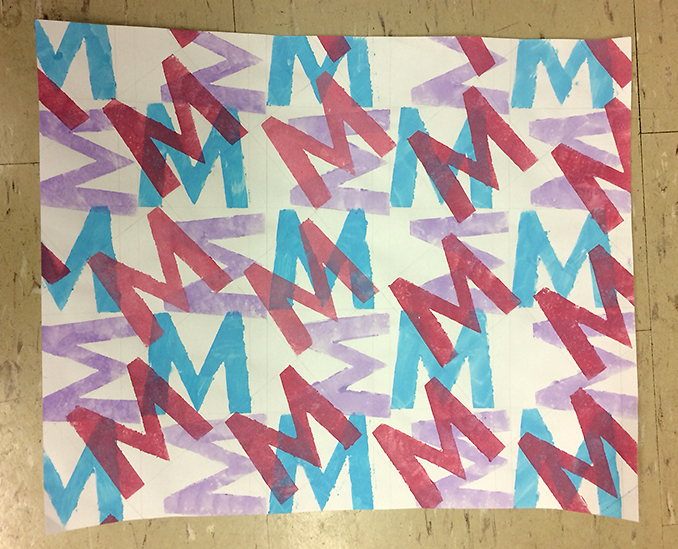 Complete Blog 3: Pattern Design Reflection before you hand in this project. You will use this blog post to present your work for critique so at minimum, post your final pattern designs (you can export them from Illustrator as jpgs to post).